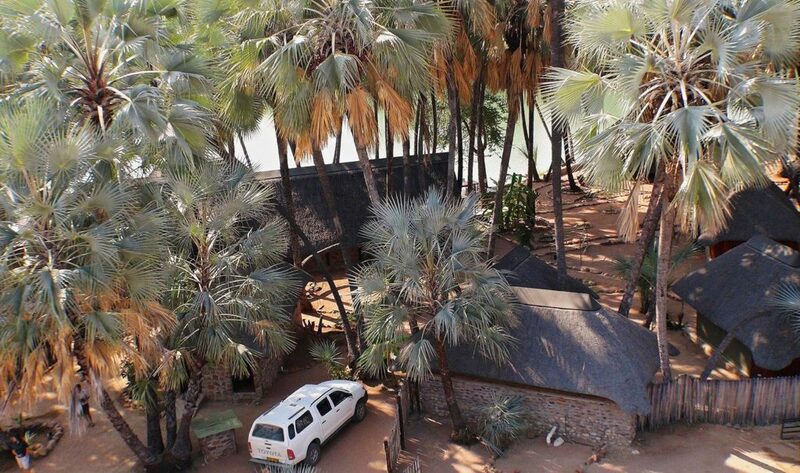 Omarunga Lodge is situated 200 metres upstream from the Epupa Falls. TOURISTS visiting the more secluded parts of the Kunene Region will now have the added benefit of experiencing the vast expanses of natural vistas and abundance of wildlife in the unique style and luxury offered by the Gondwana Collection. 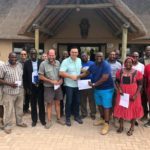 The product range offered by the Gondwana Collection Namibia will be expanded with the addition of two very unique tourist lodges on 1 May 2019 when the world renowned Palmwag and Omarunga lodges will be added to the company’s tourist accommodation portfolio. 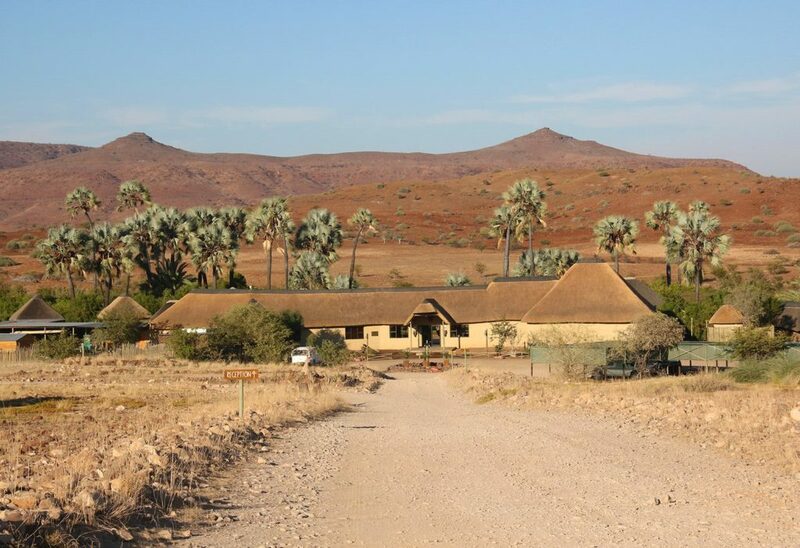 Palmwag Lodge is a popular holiday destination in Damaraland. Palmwag Lodge on the banks of the ephemeral Uniab River in north-western Damaraland is one of Namibia’s oldest and most popular tourist destinations. Nestled among huge old Makalani palms and Mopane trees, the lodge’s comfortable rooms and tented chalets as well as spacious campsites invite you to linger longer. The large restaurant and a bar with a shaded deck offer grand vistas of the river course and the mountains. Two swimming pools and a pool bar provide refreshment on hot summer days. Enjoy and discover nature on daily excursions and guided hikes along well-established trails. Palmwag Lodge is situated 500 metres north of the veterinary control gate on the C 43 to Sesfontein and is an ideal stopover en route to Kaokoland, Etosha or the coast. Omarunga Lodge in the far north of the Kunene Region enchants with its unique location just 200 metres upstream from the spectacle of Epupa Falls. The chalets and campsites are shaded by swaying Makalani palm trees, and meals can be enjoyed on the restaurant terrace with a magnificent view of the Kunene River. The Epupa area has much to offer: stunning sunsets, imposing mountain ranges, an interesting birdlife and a glorious riverine landscape. The Kunene is one of the iconic perennial rivers in Namibia. The area around Epupa Falls boasts richly coloured rock walls, a variety of trees including wild figs, baobabs and Makalani palms. Kaokoland is home to the Himba tribes who still lead a traditional way of life. Various activities provide variety and fun. Go hiking on well-maintained trails along the Kunene River, participate in a guided visit to a Himba village or join nature drives and seasonal rafting tours. The Gondwana Collection Namibia will honour all obligations and bookings accepted by Palmwag and Omarunga. Terms and conditions valid before the sale will continue to apply until 31 October 2019. The terms and conditions of the Gondwana Collection Namibia will come into effect on 1 November 2019. 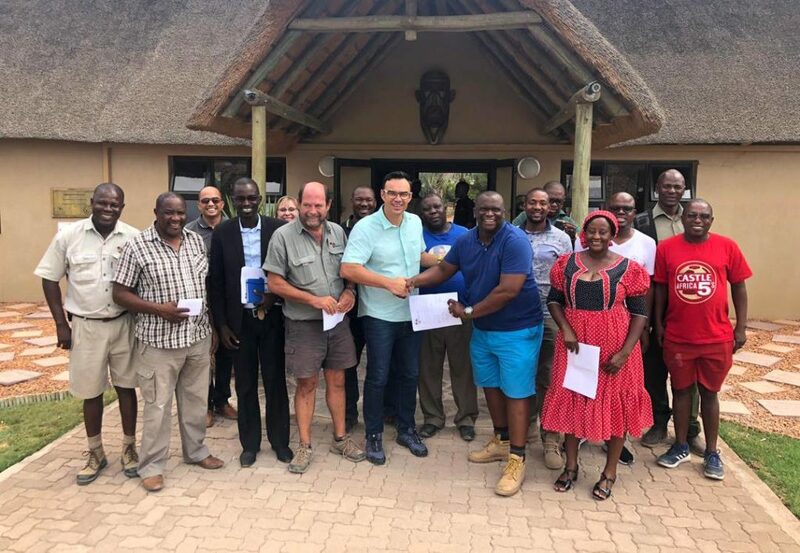 The Memorandum of Agreement for Palmwag Lodge and the surrounding concession area was signed on 28 March 2019, among others by Mr Ovehi Kasaona (Anabeb, 4th from left) standing next to the former owner of Palmwag Lodge, Mr Fritz Schenk, followed by Mr Gys Joubert (Gondwana‘s CEO) shaking hands with Tomi Adams (Torra) as well as Mr Vitalis Mushongo (MET, back row 2nd from right) and Mr Usiel Nuab (Sesfontein, back row far right).